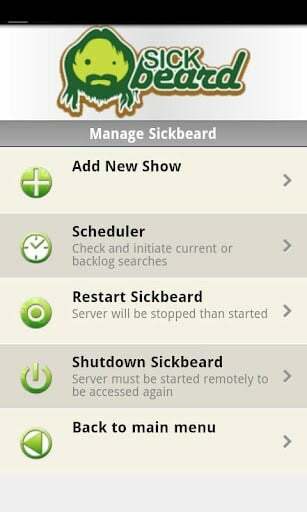 I am a fan of remotely controlling the programs running on my server. Recently, I posted articles on apps for monitoring WordPress blogs, Google AdSense, and Google Analytics, and for monitoring and administering Linux servers. 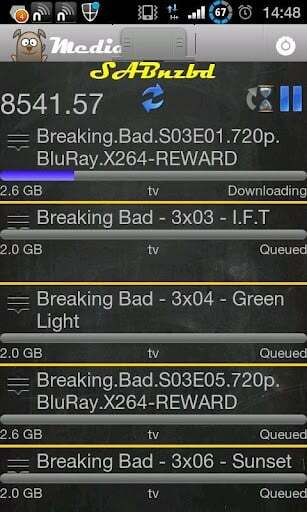 Continuing along the same lines, monitoring and controlling all the downloads, whether they are torrents, NZBs or just a bunch of files from any of the one-click-hosters, would be a lot of convenience too. 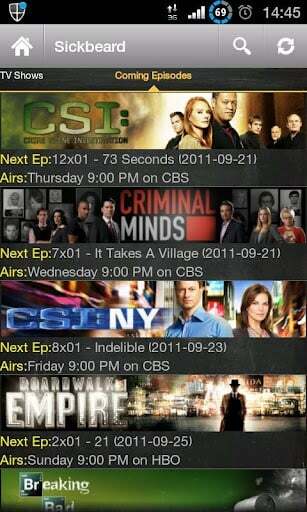 So below are some apps that I found to be interesting during my research. NZB Unity brings together the best applications and services used in the newsgroup community, into one easy to use, integrated interface. 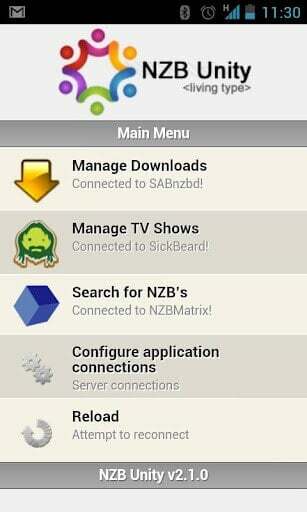 The current release provides connectivity to SABnzbd, Sickbeard, NZBMatrix and CouchPotato (v2). NZB Unity integrates with the Beta release of Couch Potato 2 (Couch Potato Server). 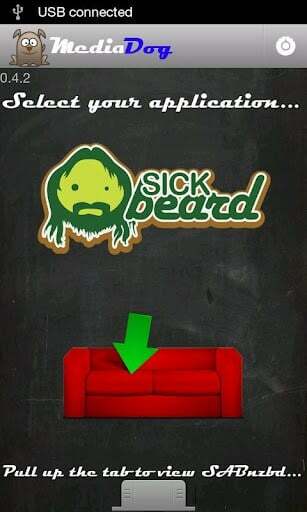 This Couch Potato version is still a beta, therefore functionality is still in development, including the fully featured API. 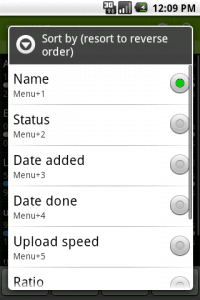 Not all base functionality that is available in the desktop version is currently available through the API yet. NZB Unity also has the ability to browse or search for NZBs from NZBMatrix.com and add them to SABnzbd. 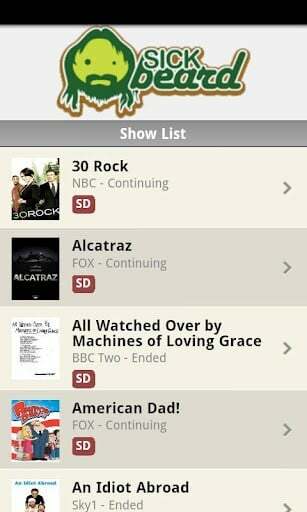 Sickbeard: Search for and add new shows to your SickBeard instance. 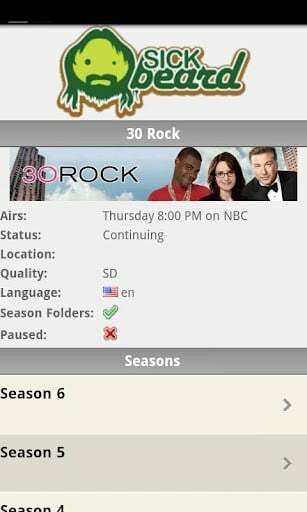 Set episode & season status to Wanted/Ignored/Archived or Skipped Displays your list of shows in a beautiful banner format Displays a list of coming episodes with the date & time of the show (requires banner view to be selected in SickBeard). 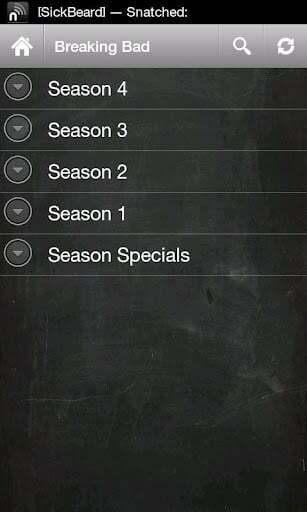 CouchPotato: Search for and add new movies to your Couchpotato queue. 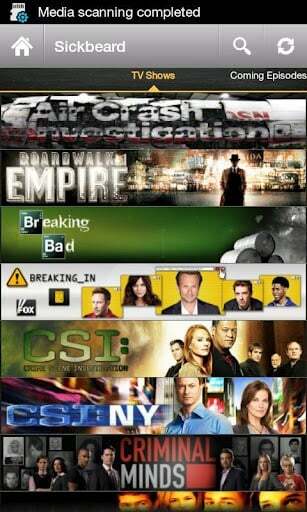 Add movies to your queue using your custom quality formats. Swipe between your wanted, Downloaded & Snatched queues. 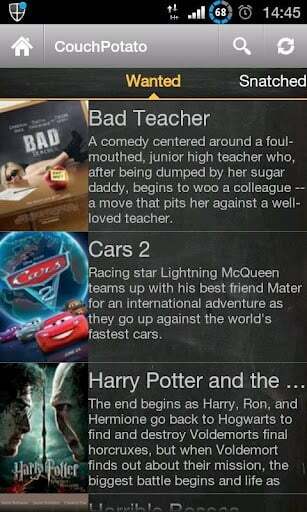 Remove movies from your queue. Clear your snatched and downloaded queues in one go. 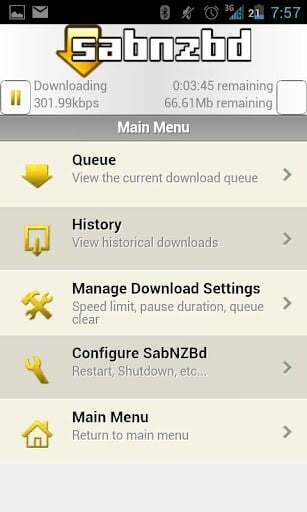 SABnzbd(requires 0.6.0+): View your current queue and speed. Rearrange your queue by dragging and dropping queue items Pause, Rename, Delete & change category of individual jobs Pause entire queue. View history items, Failed items highlighted in red, View History Item Summary Information, Delete Individual history item, Delete all history items (Menu->Clear All History Items), Retry failed job, Delete failed job & all associated files. 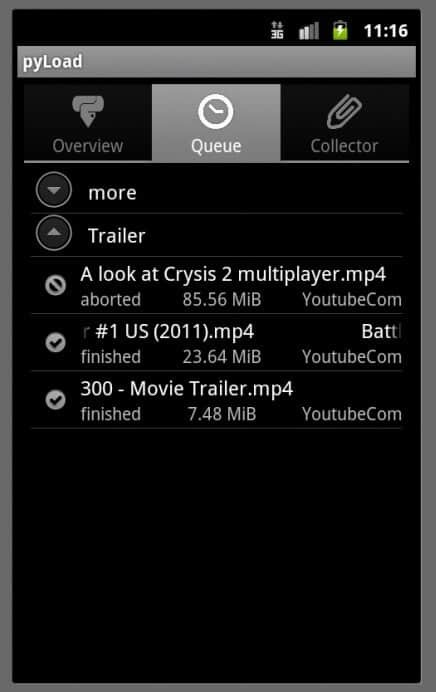 This is the official Android client for the pyLoad Download Manager. You need to have pyLoad running on your pc or server. In case you don't already have it, download it from http://pyload.org, its free, open-source and available for many platforms. How to fix wireless problems in Ubuntu 12.04 LTS Precise Pangolin?